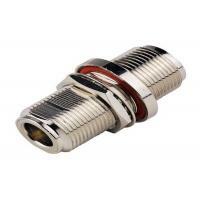 RF coaxial N connectors are medium-sized , threaded coupling connectors designed for use from DC to 12.4 GHz . 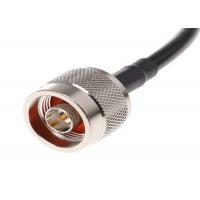 Their consistently low broadband VSWR have made them popular over the years in many applications . 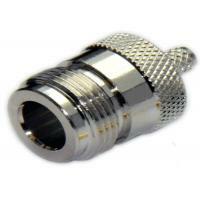 The N series connector is impedance matched to 50 ohm cables . 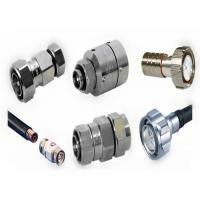 Cable terminations are available in crimp , clamp and solder configurations . 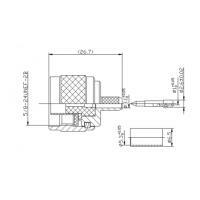 The threaded coupling ensures proper mating in applications where shock and extreme vibration are design considerations . 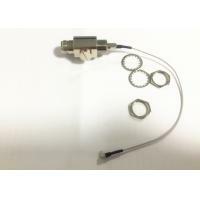 RF coaxial N connectors are used in aerospace , brodcast audio and video applications as well as many microwave components such as filters , couplers , dividers , amplifiers and attenuators to name a few . 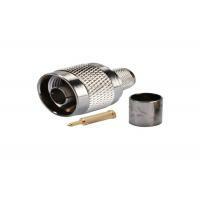 - Accommodates a wide range of popular coaxial cables . 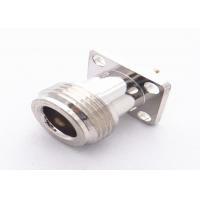 Provides threaded coupling mechanisms . 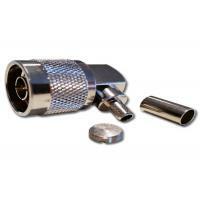 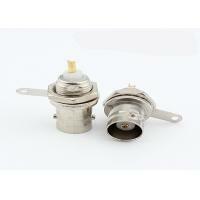 - Available in crimp terminations to provide for low cost installations . 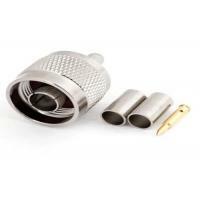 Dingyi is our associate factory which is a professional manufacturer specilized on RF antennas and cable assemblies , located in Dongguan with 5 ,800 sqm and potentially holds more than 200 people to work , it has equipped with complete set of brand - new and advanced machines exclusive for manufacturing products .